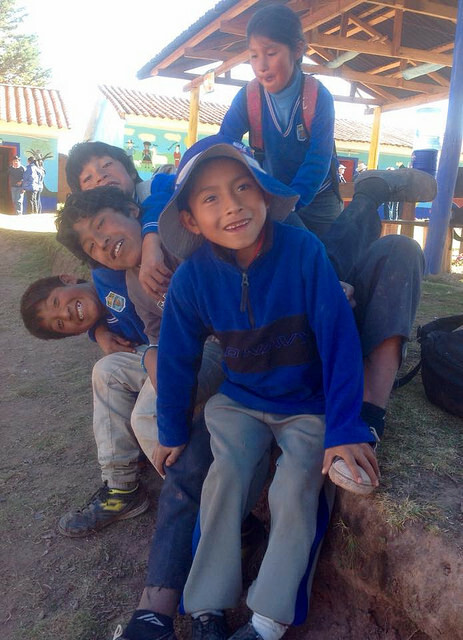 As an NEA Foundation Global Fellow, I recently had the incredible experience of traveling to Peru. I felt embraced by the people and tried my best to soak in the beautiful Peruvian culture in the food, music, handwork, colors, art, and languages that surrounded me. I found myself in awe of the strength of the women and saddened by the obvious challenge of poverty the families face daily. 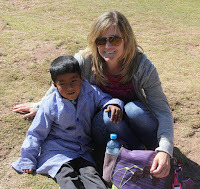 Our visits to the schools enriched my experience as a global traveler. 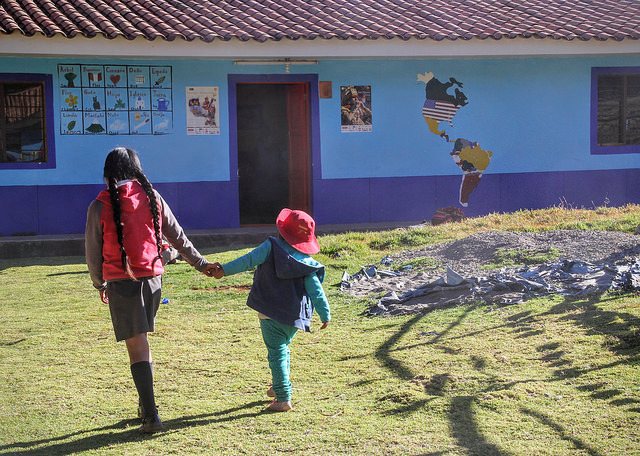 Much like schools in the states, I found a great disparity between the schools in urban and rural areas of Peru. The private and magnet schools of Lima and other cities are filled with bright students, rigorous programs, and a wealth of supplies. 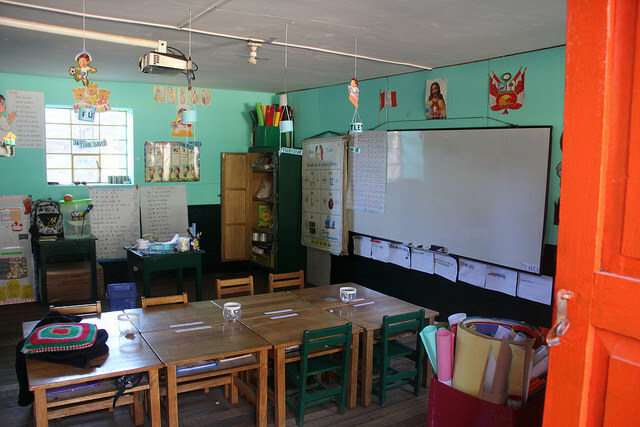 In the more remote villages, schools are poorly supplied and staffed. For me, however, the most impressive school we visited was a primary school in the mountain village of Pumamarca, just outside of Cuzco. It was in this small rural community that I experienced the power and influence that education can offer everyone. Until recently, the children in this impoverished area had no school. 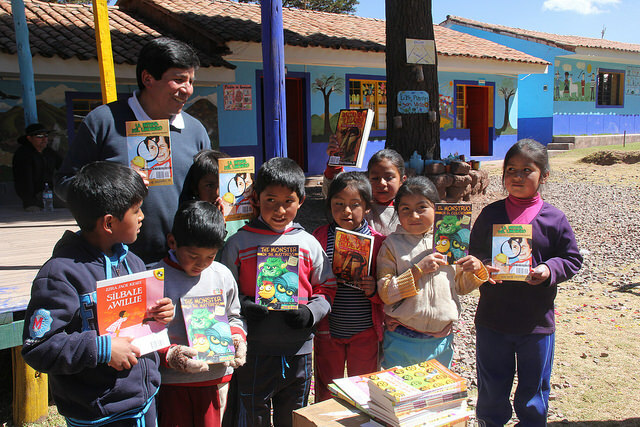 In 2008, Peru's Challenge, an organization dedicated to developing sustainable schools and communities in rural Peru, came to Pumamarca. When Peru's Challenge first spoke to the villagers, they asked them what they wanted most. The resounding answer was... a better life for their children. They wanted their kids to attend a school, but they didn't want them to have to attend a rural school with unqualified teachers. Peru's Challenge worked tirelessly with the Ministry of Education, who at first indicated that they thought the villagers had no interest in education. After much negotiating, the ministry agreed to supply one teacher the first year the school opened. Today they employ all six teachers at the school. The community members built the eight school rooms themselves, and they now have a fully functioning kitchen. The women of the village grow healthy vegetables in the school green houses, and they feed the students breakfast and lunch daily. There are six greenhouses, and the extra food is sold at market. 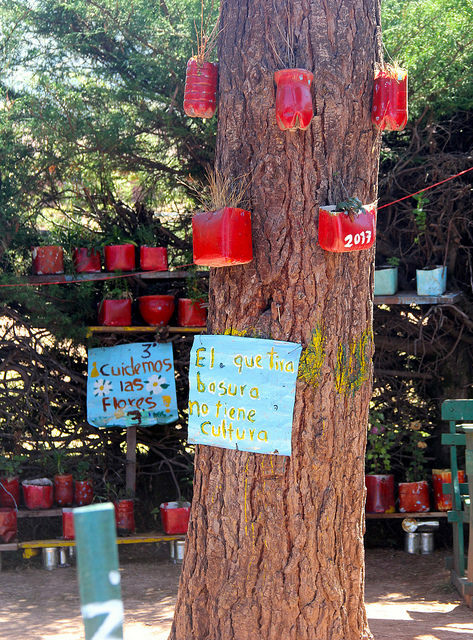 The profits are used to keep the kitchen running and supply the school. 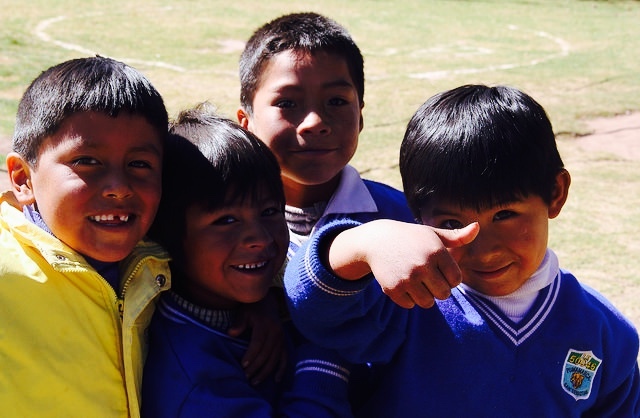 What is most amazing to me are the lasting results from the efforts of Peru's Challenge. The people were not given money or supplies. Instead, they were given the precious resource of knowledge. Before Peru's Challenge came to Pumamarca, most families lived with chickens and guinea pigs in their homes, and 95% of the kids were malnourished. An average family earned about $3 per month. Alcoholism was rampant; many of the men were drinking pure alcohol made cheaply from plants in the jungle. Domestic violence was prevalent, and most of the youth never completed high school. 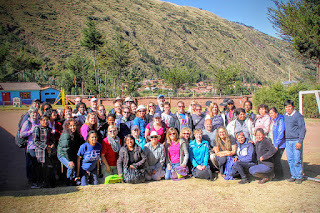 Peru's Challenge taught the people of the community the necessary skills to run their farms, school, and businesses. They taught them how to harness electricity and clean water in their homes, work the land with animals, and grow flowers in the green houses to sell. Most families now make about $60 per month. 90% of the kids are healthy, and the 10% malnourished students are among the incoming kindergartners. 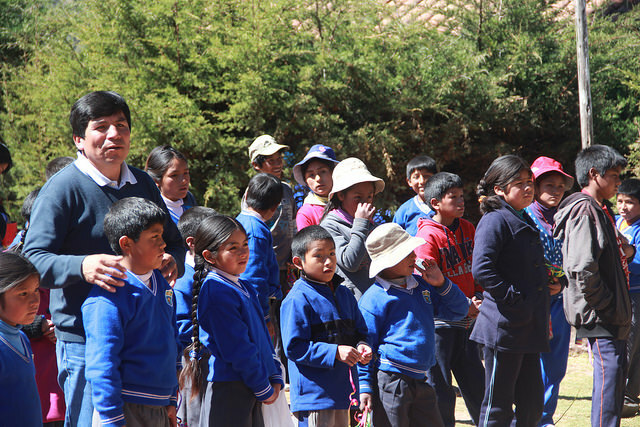 Within the first three years of opening the school, all of the students in grade five graduated to the secondary school in Cuzco. Alcoholism and domestic violence are almost non-existent now, although the project did not focus on either of these things. It has been a bi-product of the efforts to create a sustainable community and school within a small rural village. The story of Pumamarca is a powerful example of how educating others creates independence and progressive change. How do we apply this in our own states and communities? We often refer to educators as 'agents of change'. The strength in this example, however, is not change. It is sustainable change. Every year we are introduced to new strategies of instruction, theories of learning, and technological advances. We have a wealth of resources available to us, and at times, it feels like we are overloaded with great ideas. The question is, when we implement something new in our schools, will it provide skills that teachers and students will continue to use? Will the new resources provide sustainable change? As administrators, do we implement only those programs and strategies that will become an imbedded part of the school's culture and enhance instructional practices? Do our teacher evaluation programs place a greater emphasize on improving instruction, thus increasing student learning? As teachers, are we able to focus more on the analysis of formative assessments in order to drive our instruction rather than place percentages on our students? Do our weekly lessons emphasize both individual and group problem solving experiences? Do we search for ways to connect with parents and develop a lasting trust between home and school that will encourage their involvement? As teachers, do we focus on integrating critical social-emotional skills that students will need to work with others in their adult lives? Like the people of Pumamarca, training our teachers and educating our kids is about giving them the experiences, knowledge and skills they will continue to use in their communities. For me, the story of Pumamarca will be a reminder of how important those resources are.